Rosario Dominic Ferraro was born in 1942 in Capri, Italy. Ross and his family moved to Chicago, Illinois in 1960. Ross met his future wife JoMarie in 1965 and both were married in 1966. Shortly thereafter, Ross and his wife moved into their first home in Bellwood, Illinois in 1966 where he worked as a barber at the Deltop Barbershop. Shortly after moving to Bellwood, Illinois, Ross and JoMarie began a family. Their oldest child Toinette was born in 1967, their oldest son, Ross, Jr., was born in 1969 and their youngest child, Michael, was born in 1973. In 1978, Ross, JoMarie and family moved to Carol Stream, where he opened his business, The Village View Barber Stylists. In May of 1987, Ross Ferraro was sworn in as the 10th Mayor of Carol Stream. Ross was reappointed Mayor in 1991, 1995, 1999 and 2003 and is the longest serving Mayor in the Village’s history. As part of his Mayoral duties, Ross has also served on a number of professional associations during his 18 years of public service. In 1996, Ross was appointed President of the DuPage Mayors and Managers Conference, a council of government that represents the legislative interests of DuPage County municipalities in Springfield, Illinois. His tenure as Conference President included being both the Conference Director and Chairman of the Nominating Committee. 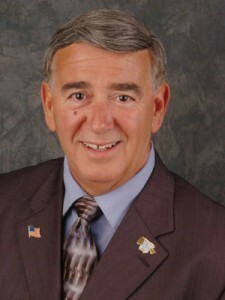 Ross is the former Chairman of DuPage Communications (DU-COMM) Emergency Dispatch Agency, former Secretary of the Illinois Tax Increment Association. Ross’s Mayoral duties have included extensive involvement at the national level with both the National League of Cities as well as the U.S. Conference of Mayors. In 1997, Ross was appointed to the National League of Cities (NLC) Steering Committee for Crime Prevention and Public Safety and has been reappointed each of the last six years. Ross also serves on the NLC Small Cities Council. With respect to Ross’s involvement with the U.S. Conference of Mayors, he currently serves on the Criminal and Social Justice Committee, the Drug Control Task Force, as well as the Electric Utility Restructuring Task Force. Ross was recently elected as a Commissioner to the DuPage Water Commission and serves as a Republican Committman for the 53rd Precinct in Bloomingdale Township, Illinois.